Permission is granted to freely use this photograph for promotional or press purposes provided credit is given to Nathan Lilly. 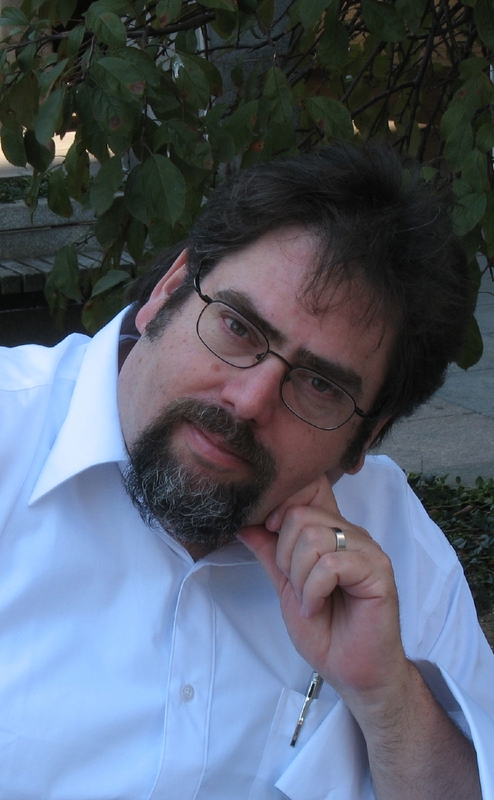 Lawrence M. Schoen holds a Ph.D. in cognitive psychology, is a past Campbell, Hugo, and Nebula, nominee, won the Cóyotl award for best novel, founded the Klingon Language Institute, is a hypnotherapist specializing in authors’ issues, and writes science fiction and fantasy ranging from the humorous to the deeply philosophical. Lawrence M. Schoen holds a Ph.D. in cognitive psychology, is a past Campbell, Hugo, and Nebula, nominee, won the Cóyotl award for best novel, founded the Klingon Language Institute, and ocassionally does work as a hypnotherapist specializing in authors’ issue. His science fiction includes many light and humorous adventures of a space-faring stage hypnotist and his alien animal companion. Other works take a very different tone, exploring issues of determinism and free will, generally redefining the continua between life and death. Sometimes he blurs the funny and the serious. Lawrence lives near Philadelphia, Pennsylvania with his wife and their dog.